For the price of the Iraq War, we could've bought every American adult who wants to attack Iran their weight in marijuana. According to a November 2007 Gallup poll, 18% of Americans favored military action against Iran, while 73% favored relying on economic and diplomatic efforts. There are 225 million American adults, so this means that 40 million Americans favor military action. The average American adult weighs slightly under 180 lbs, so 7.2 billion pounds of Americans support military action against Iran. 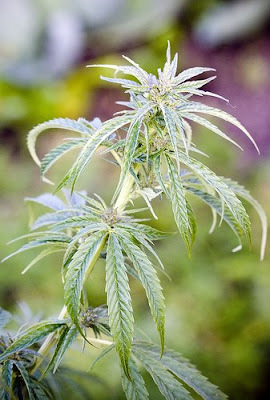 In 2005, the National Survey on Drug Use and Health estimated retail marijuana prices at $2783 per pound. Buying all American adults who want to attack Iran their weight in marijuana would cost $2.00 trillion, which is less than Joseph Stiglitz and Linda Bilmes' estimate of $3 trillion for the cost of the Iraq War. Image used under a Creative Commons License from dey.